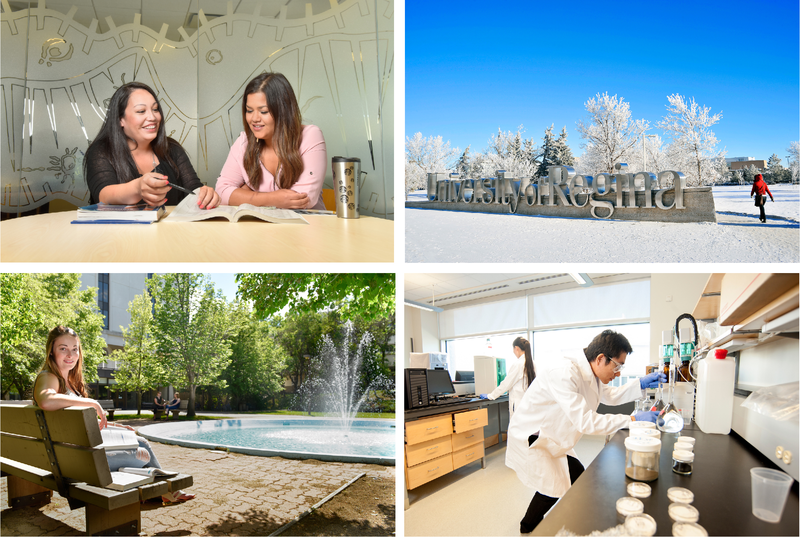 The University of Regina has a long history of producing successful graduates. Our grads are creators, innovators, problem solvers and big thinkers. Our students enjoy great access to professors, opportunity for one-on-one guidance, and a supportive community of students. Combine that with our exceptional collection of student support services, and you find a great environment to pursue your graduate work. We are proud of our innovative programs for professional and academic careers. To date, we offer more than 50 Master’s degree programs, 18 Doctoral programs, 1 Post-Graduate Diploma, and 9 certificate programs. As a research-intensive institution, we currently lead Canadian comprehensive universities in research impact and international research collaboration. Based on a variety of key measures, we’ve emerged as a centre of excellence on a number of research fronts. We proudly provide a diverse and open learning environment that encourages collaboration and opportunities for personal growth and professional development. Come, study with us, and discover a future filled with possibility!